Exclusively ours. 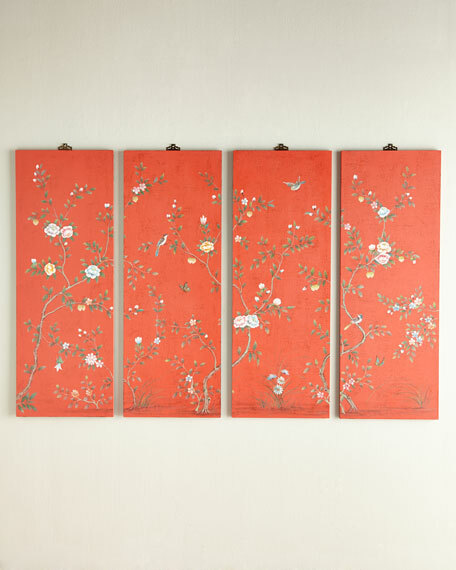 Softly hued and serenely beautiful, these Asian-inspired floral and bird panels blend well with a variety of decor styles. Handcrafted of poplar and wood composite. 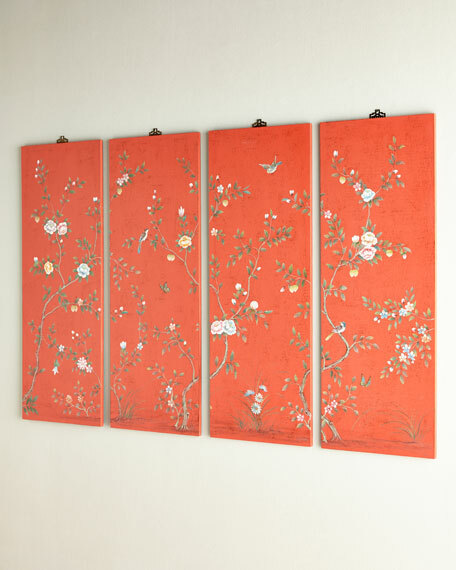 Easy hanging with four individual panels; hanger attached at back of panel. 70"W x 0.75"D x 48"T overall.